CARACAS, Venezuela — President-elect Nicolas Maduro and his opposition rival traded accusations Tuesday over blame for post-election violence that the government said had caused seven deaths and 61 injuries across Venezuela. Maduro accused the U.S. of fomenting the violence, which appeared less serious than he suggested, while opposition candidate Henrique Capriles accused him of creating a smoke screen to divert attention from the opposition’s insistence on a vote-by-vote recount of Sunday’s surprisingly close vote. In Washington, the U.S. State Department backed that demand, saying it would not recognize Maduro without a recount. It was joined by the governments of Panama and Paraguay. Maduro, the chosen heir of the late Hugo Chavez, spent the day on state TV at various events demonizing Capriles as “a murderer” and coup plotter. He also heaped blame on Washington — always a popular target of Chavez, the leader Maduro served as foreign minister for six years. 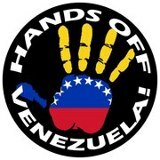 “The (U.S.) embassy has financed and led all these violent acts,” Maduro said during a televised meeting at the headquarters of the state oil company. The countries have been without ambassadors since 2010 and Maduro’s rhetoric did not sound designed to encourage the rapprochement that he has told various visiting American politicians he is seeking. He said he wanted to avoid the kind of violence that preceded a failed April 2002 coup attempt against Chavez that Washington initially recognized. But then Maduro upped the ante, calling on his own supporters to take to the streets Wednesday in the capital. Capriles subsequently called off the opposition march. It was to have converged on the regime-friendly National Electoral Council, which quickly ratified Maduro’s victory Monday. According to the electoral council, Maduro won by 262,000 votes out of 14.9 million ballots cast. At 283 polling stations, election monitors were forced to leave before vote counts, some at the point of a gun, he said. At one voting booth in the western state of Trujillo a total of 717 people voted when only 536 were registered, he said. People marched in various provincial capitals Tuesday to demand a recount, heeding a call by Capriles. At least one turned violent. In the capital of Barinas, Chavez’s home state, police and National Guard troops fired tear gas and plastic shotgun pellets at protesters marching toward the provincial headquarters of the electoral council. Opposition leaders reported 30 arrests and three minor injuries. Barinas Gov. Adan Chavez is a brother of Hugo Chavez, the charismatic but divisive leader who succumbed to cancer March 5 after 14 years as president. The opposition blames Chavez for Venezuela’s economic disarray, chronic and worsening power outages and rampant crime, including one of the world’s highest homicide rates. Justice Minister Nestor Reverol accused Capriles of numerous crimes, including insurrection and civil disobedience. National Assembly speaker Diosdado Cabello called for a criminal investigation, which he said should include two top Capriles aides: Lara state Gov. Henry Falcon and Carlos Ocariz. Security analyst Adam Isacson of the Washington Office on Latin America said the rising tension increases chances that the government could arrest opposition leaders, although he wondered whether security forces would comply with a wave of arrest orders. The Chavistas have long used a loyal criminal justice system to repress the opposition, human rights groups say. Government officials have kept up a drumbeat of attacks alleging since Monday that Capriles is plotting a coup, including a claim by Maduro that opposition protesters had attacked government health clinics and the house of electoral council President Tibisay Lucena. Chief prosecutor Luisa Ortega, who announced the death toll, said 135 people had been detained in protests, presumably on Monday, when Capriles’ supporters protested in Caracas and other cities, including Barinas, Merida and Maracay. Officials said one death involved a man in the capital supposedly shot by opposition supporters in front of a health clinic. The Associated Press visited the scene and could not establish in interviews with neighbors whether the killing was politically motivated. It did determine, however, that he was not killed near the Cuban-run clinic. Reverol said other shooting deaths, in the states of Sucre, Tachira and Zulia, were being investigated. Capriles said the government is to blame for any violence. In Teques, the seat of the state that Capriles governs, several hundred Chavista militants on motorcycles menaced opposition supporters Tuesday, discouraging a march on the provincial electoral council office. Some broke a window and tossed a firebomb into an office of the opposition Democratic Party office, causing a small fire. Others used broomsticks to smash display cases at a bakery that they said was owned by a Capriles supporter. They also looted it. In Caracas on Monday, thousands of students briefly clashed with National Guard troops. In the western city of Barquisimeto, 10 people were injured, two seriously with plastic shotgun pellets, said Dr. Ruy Medina of the local hospital. People across the nation banged on pots and pans Tuesday night to demand a recount, just as they did twice Monday at Capriles’ request. He called for such “cacerolazos” every evening this week until Friday, when he said the cacophony should coincide with Maduro’s scheduled swearing-in. Serious questions have been raised about Maduro’s ability to lead after he squandered a double-digit lead in the race despite an outpouring of sympathy for his party following Chavez’s death. But government leaders and military leaders nevertheless closed ranks around him after Sunday’s close results. With such a narrow victory, Maduro has little political capital to make the difficult choices the country’s problems require, said Risa Grais-Targow, Latin America analyst for the Eurasia Group. Price and currency controls imposed under Chavez have failed to stem inflation or the flight of dollars and are strangling private firms. But lifting them abruptly could bring economic turmoil and hurt the poor. Grais-Targow said Maduro will likely focus instead on expanding the myriad of social programs that cemented Chavez’s popularity. But that has become increasingly difficult to balance with the need to spend money on redressing other problems. The state-oil company that gave billions of dollars to fund social programs is saddled with mounting debt and declining profits. Critics say it has failed to invest in boosting oil production, which has fallen for years in a nation with the world’s biggest oil reserves. Associated Press writers Jorge Rueda, Frank Bajak and Christopher Toothaker contributed to this report.